Several thieves stole multiple devices from an Apple store in Santa Rosa Sunday afternoon, according to police. 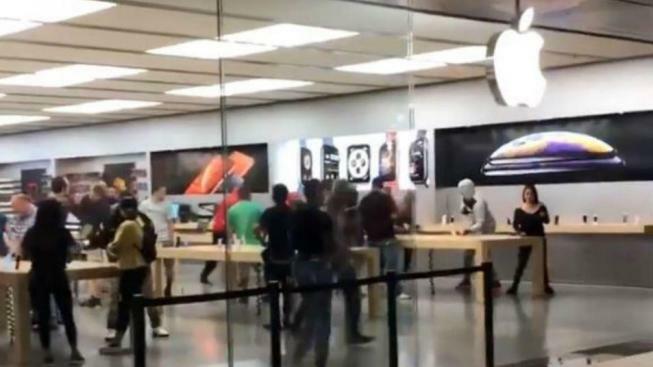 The thefts happened just after 1 p.m. at the Apple store located at Santa Rosa Plaza, police reported. Video footage captured the thieves swiftly swipe items from display tables before sprinting out of the front door. Authorities are in the midst of conducting an investigation. Anyone with information, videos or photographs is asked to call 707-543-3575. Sunday's grab-and-go comes on the heels of similar Apple store robberies that have occurred in Bay Area cities such as Burlingame, Walnut Creek and Corte Madera in recent weeks.